Jimmy Chin and Elizabeth Chai Vasarhelyi, the directing team behind 2015's Meru, return with Free Solo, another documentary about extreme mountain climbers with a death wish. The film centers around Alex Honnold, a "free solo" mountain climber who prefers climbing mountains without the aid of ropes or climbing equipment, scaling mountains on his own with only his hands and wits to guide him. It's an undeniably impressive feat, but also a potentially crazy one. Free Solo tracks Honnold's quest to scale the nearly vertical face of El Capitan without rope. 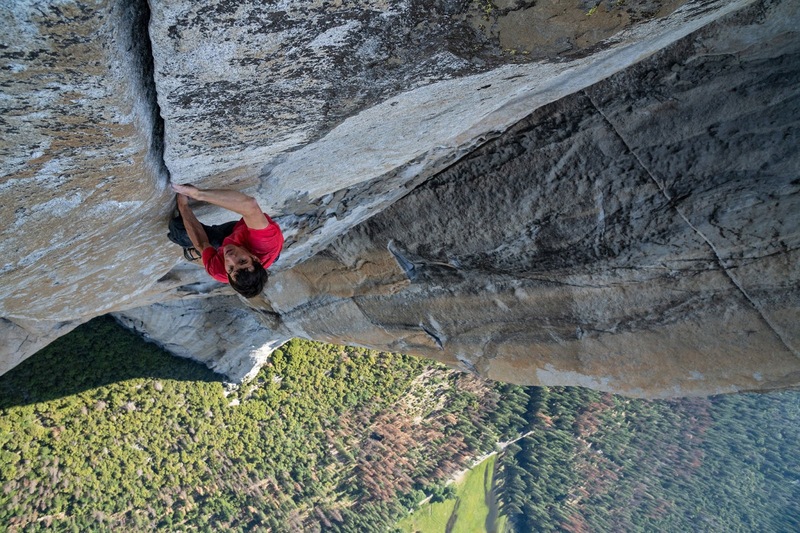 In contrast with Meru, Chin and Vasarhelyi do a better job of questioning their subject's motives (by doing so at all), making Honnold's girlfriend, Sanni McCandless, one of the central figures in the film and drawing attention to the fact that nearly every free solo climber who has gained any notoriety has ended up dead. And yet, Free Solo is such an ultimately joyous and celebratory work that it's difficult to really grapple with the gravity of what Honnold is really doing here. The filmmakers seem to undercut their points at every turn, breezing past the dark places any reasonable train of thought takes them in an effort to heap more adoration on Honnold. Free Solo seeks first and foremost to frame Honnold's achievement as a great athletic feat, rather than probing his motivations for such a stunt. It doesn't help that Honnold is an often cold and stand-offish figure who really doesn't seem to understand or care about the effect his death would have on those around him. As the film's hero he's certainly difficult to identify with, and yet Chin and Vasarhelyi never seem to challenge or really push him to examine his quixotic and potentially suicidal dream. Tearful interviews with McCandless juxtaposed with Hannold's nonchalance are difficult to watch, and one can't help but wonder - what's the point? Why is all this potential pain worth this feat? Why not do the same thing but with safety equipment? Hannold can't really answer those questions - he just knows its something he has to do, arrogantly comparing the act of free solo climbing with the "way of the warrior." 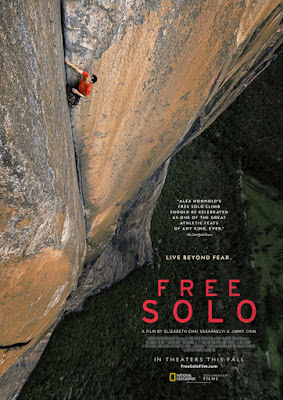 Free Solo never pushes back on this, treating it all as some sort of mythic quest for greatness. Yet one can't help but feel that this whole thing is so misguided. It's beautifully filmed, to be sure, filled with sweeping mountain vistas and dizzying views, and the final free solo ascent up El Capitan one of the year's most harrowing cinematic set-pieces. But what's it all for? Hannold's ultimately selfish act of recklessness is given a hagiographic treatment that feels both irresponsible and emotionally dishonest, never truly grappling with the ramifications of what it is celebrating. FREE SOLO | Directed by Jimmy Chin and Elizabeth Chai Vasarhelyi | Rated PG-13 for brief strong language | Now playing in select cities.